So Sew English was founded by Amanda Carita, a single mother with a passion for sewing. This passion began in childhood and was deeply ingrained in her throughout her life. As she pursued her craft, however, she ran into difficulty sourcing materials, discovering that beautiful fabrics were expensive and affordable fabrics low quality. Thus, began her dream to provide beautiful and affordable fabrics to the sewing community. She started small, but customers recognized her vision and her business quickly grew. SSE is built upon two core tenants: 1) self-made fashion can be more economical than purchasing ready to wear, and 2) we need not sacrifice beauty or quality to make this possible. More than a brand, SSE is a movement to make the dream of self-made fashion a reality for everyone. We provide affordable, quality fabric to the masses, and we source and offer unique prints that help the SSE customer stand out from the crowd. At SSE we strive to empower our community, providing them with the resources and instruction to make their visions come to life. Our goal is not merely to provide our customers with a product but to support them by sharing what we have learned. We do this through our Sew-A-Longs and Facebook group, where we help guide and instruct participants as they delve into a world of knit fabrics that is often completely new territory for them. The indie sewing community is made up of a diverse group of people. People of all ages, sizes, of different backgrounds and beliefs. At SSE we come together over a shared passion, creating beautiful one a kind apparel. We have come together to form a community of positivity, where our customers feel safe to share and to encourage one another to greater success. 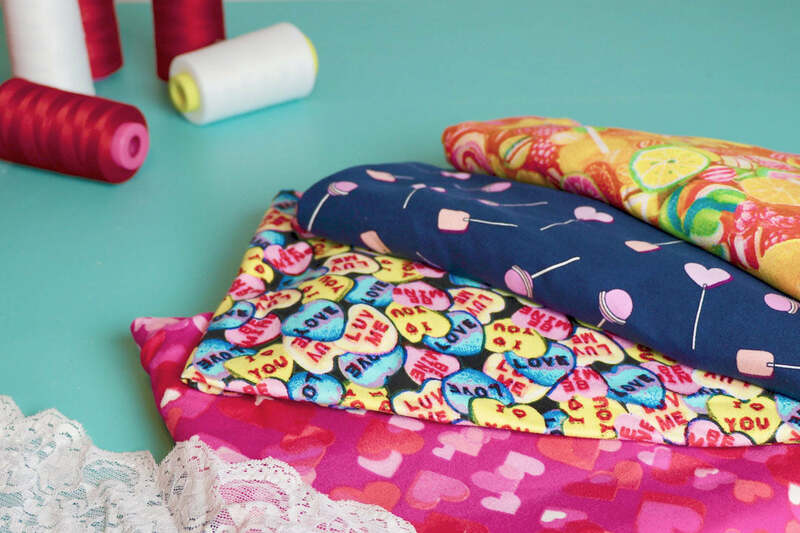 The sewing community has grown and changed over the years and although it may look very different than it did when our mothers and grandmothers were sewing and creating, it still holds the same importance in our lives. We at SSE believe that sewing is far more than simply a craft. It is a way of providing for your family and of expressing yourself. It can be a form of relaxation or a creative outlet. To be able to create with your own two hands something so unique and beautiful can be transformative. That feeling when someone pays you a compliment and you can answer, “Thank you, I made this,” is something we want for all our customers.